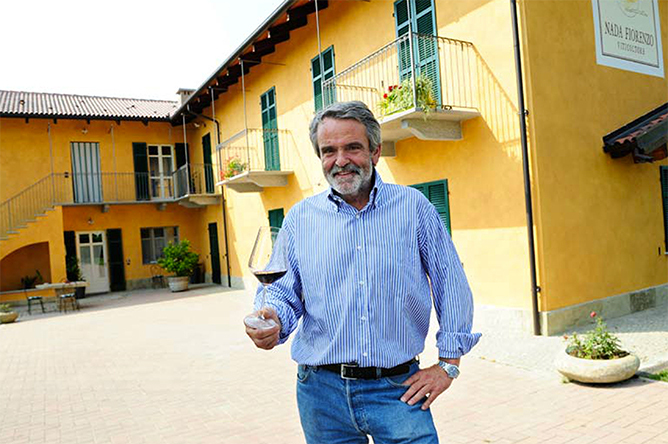 Nada Fiorenzo is one of those iconic, “legacy” wineries in Barbaresco that has won too many Gambero Rosso Three Glass awards and scored 90+ in Wine Advocate and Wine Spectator too many times to count. Their bottlings of Barbaresco belong in that pantheon of Langa wines that appeal to both traditionalists and modern-leaning tasters. They are wines that balance the classic earthy tones of Nebbiolo with a clarity and purity of fruit that only Barbaresco can deliver. 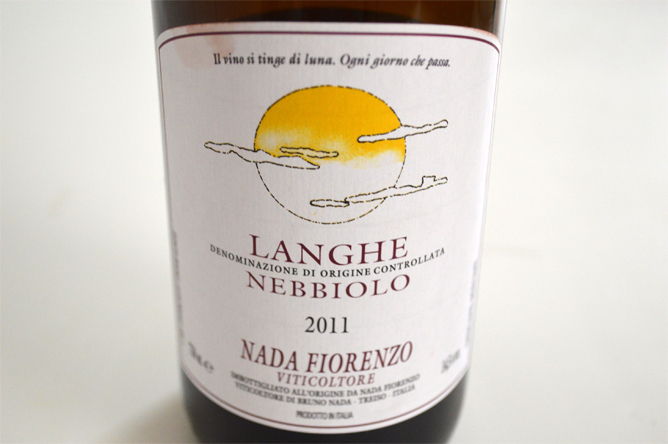 The other day, when we tasted their extraordinary Langhe Nebbiolo, which drinks almost like a young Barbaresco, we were inspired to translate this moving passage, below, written and published by winemaker Bruno Nada on his website. That’s Bruno in the photo. My name is Bruno Nada. I’m the son of Fiorenzo Nada. I was born in 1951, here in Treiso. Today, Treiso is its own township. But back then it was still a hamlet of Barbaresco township. My father had eight siblings. He was born the second-to-last. He inherited a small patch of land on the border with Alba province at the endo f the 1950s. His family had always produced wine that they would sell to restaurants. But when the property was divided between the four males in his family, he decided to abandon winemaking, save for the wine he made for family and friends. He began selling his grapes. There was a lot of demand at the time from local merchants. Like many young people at that time, I dreamed of an easier life and so I left Treiso and headed to the city. It was the 1960s and Italy was in the middle of an economic boom. It was a sparkly time of new television and easy money. Staying in the country meant missing the bus to modernity. I went to technical college in Torino and Asti. By the time I was 22, I had begun to teach in a school in Alba. And then later I got a job at the Hotel School in Barolo, where I introduced the first food and wine curriculum for future restaurant workers. Even though I was living a completely different life, my connection to Treiso and its way of life hadn’t been severed. It was always part of me. By this time, the older generation of farmers who had sculpted these hills with their skill and traditions had begun to fade slowly into the sunset. And there was no one left to carry on their legacy. It was then that I began to enter into the world of fine wine and I met some of the most enlightened winemakers of the day. They talked to me of “terroir,” of how wine is the expression of the land. And with great pride, they also spoke of low yields. That was when everything changed for me and I became excited about winemaking. I went to my family and suggested that they stop selling the grapes and that we build a cellar where we could make wine. But I wanted to make wine made from fewer bunches per plant in order for the fruit to ripen more fully. It was a simple idea. And today it might even seem banal. But at the time, it was a revolution. “We’ll try” was the only thing my father said. It was a tough time and the clashes with my family weren’t easy. I used to wake up early in the morning to prune the vines and I would hide the bunches in a trench so that my family wouldn’t see them. Over the last ten years or so, the interest in unusual and never-before-heard-of grape varieties has led a number of winemakers to produce monovarietal bottlings of once forgotten or sometimes undiscovered grapes. Colorino may be perfect for blending with Sangiovese in Chianti, for example. But when vinified on its own, it’s really not much to write home about. 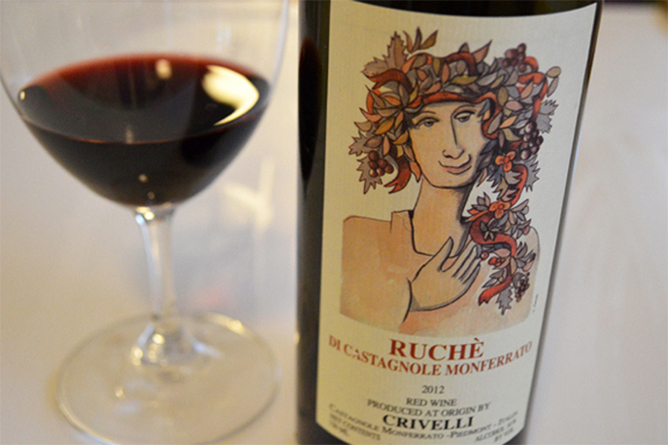 Ruchè, on the other hand, is one of those previously undiscovered grapes that immediately created a name for itself when it first became available. Grown primarily in Castagnole Monferrato, a small township in Asti province (Piedmont) which lies northeast of the city of Asti, Ruchè was first identified about three decades ago (it’s also grown in townships of Montemagno, Grana, Portacomaro, Refrancore, Scurzolengo, and Viarigi — all in Asti province). Not much is known about its origins. Some believe it was brought to Asti by Monks many centuries ago. But no one really knows for sure. It’s a true mystery. In 2009, according to Crivelli’s website, DNA testing showed that it is unrelated to any variety grown in that part of Italy. No one really knows where it comes from or how it got there. But they do know that it’s delicious. 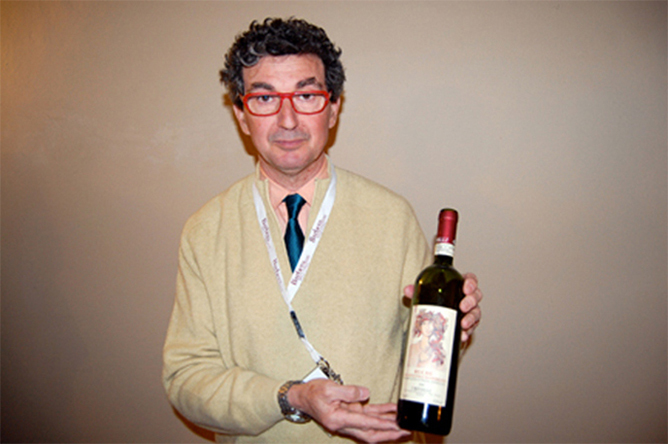 Marco Crivelli (above) was among the first to vinify and bottle Ruchè grapes and he was among those who lobbied for it to be elevated to DOCG status. It did become a DOCG in 2010 (the DOC was created in 1987). The wine is medium-bodied with balanced acidity. The thing that’s so remarkable about the wines made from Ruchè is its unique floral and spicy notes. Crivelli’s is widely considered the best and the benchmark for this appellation. His elegant interpretation plays on the wine’s natural litheness and its gorgeous berry fruit flavors. Although he probably wouldn’t call himself a “natural winemaker,” for all intents and purposes he is. He doesn’t use pesticides or herbicides in the vineyards and he attempts to transform his pristine fruit into wine using as little intervention as possibile. The resulting wine is simply stunning. Click here for the winery website. When most people think of fine wines from Piedmont, their minds immediately turn to the usual suspects: Barbera, Dolcetto, Barbaresco, and Barolo from Alba and Asti townships. The fame of those wines and their popularity among English-speaking wine lovers often elide the many other wonderful grape varieties that are cultivated in Piedmont. When you travel to the township of Caluso, about an hour and half by car from Alba, you find yourself in the pre-Alps, in some of the highest-elevation growing spots for fine wine in the region. They grow Nebbiolo up there as well. But they also grow Erbaluce, a white grape whose name translates literally as “grass light,” although no one really knows where the grape name comes from. Thanks to the combination of elevation and temperature variation during the summer (warm days, cool nights), the fact the Alps protect the area from inclement whether, and the excellent ventilation provided by the mountains, it is the ideal place to make fresh, acidity-driven white wines. Indeed, Erbaluce is known for its vibrant, “electric” acidity, making it one of our favorite food-friendly wines. We recently opened some of the Cieck entry-tier Erbaluce and we were blown away by how bright and refreshing it was, a perfect pairing for ceviche and crudo and even salads. The grapes for this wine are sourced from one of the estate’s top growing sites, the “Misobolo” vineyard in the township of San Giorgio Canavese. The vines lie at roughly 320 meters a.s.l. and face south-southwest. 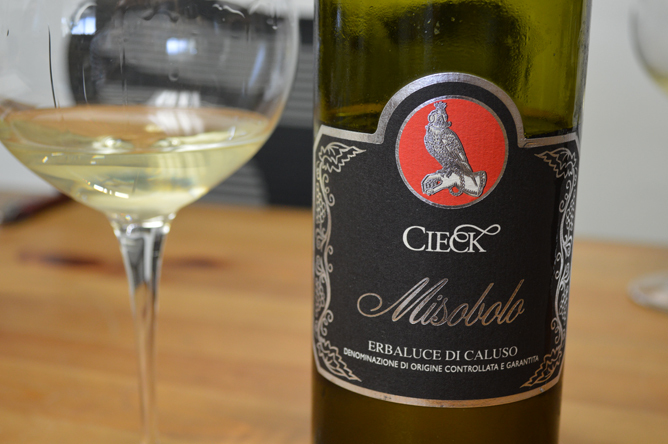 The elevation and exposure are ideal for Erbaluce, a variety that needs warm summer days and cool summer nights to achieve its full ripeness while retaining its characteristic acidity. But the thing that really sets this wine apart is that vineyard, planted in the 1970s, is still trained using double pergola training. Pergola training began to disappear across Italy during the 1980s. But in mountain growing sites like Northern Piedmont, many growers and winemakers have found the training system to be highly effective. During the coldest months of the year, the pergola acts as a sort of insulator for the vines. Some vines, in fact, wouldn’t survive the cold temperatures of the winter. During the summer, the pergola’s canopy helps to shade the fruit and acts as a natural air conditioner by helping the soil to retain water and keep the plants cool. All in all, this is an entirely unique expression of Italian viticulture, “mountain wine” at its best. Check out the English-language fact sheet for this wine here (fyi, you have to go to the page and then click the PDF download link at the bottom to get the complete fact sheet for every wine). And also be sure not to miss the winery’s new website, which it just recently updated with lots of great technical information about these extraordinary wines. The choice to work organically means embracing a system whereby humankind has the least impact as possible on the environment and working to develop sustainable agriculture. The Antica Tenuta del Nanfro has chosen to embrace this philosophy in accordance with norms established by EU regulations and monitored by QC&I International Services. Some of the tenets of organic farming are as follows: the non-use of pesticides and synthetic fertilizers, not to mention anti-biotics in the vineyard; the banning of genetically engineered organisms; the use of clones naturally resistant to vine disease and clones that are suited to the climatic conditions where they are cultivated. We believe that the health of a wine begins with the meticulous attention given to the vines by one’s love for the land. In our view, it’s one of the best if not the best description of what organic and chemical-free farming is all about. Here in America, we often see organic farming as a common sense approach to viticulture. They see it like that in Italy, too. The difference is that many Italian growers also view it as an expression of love for the land. When you taste Nanfro’s wines, you literally taste that love. 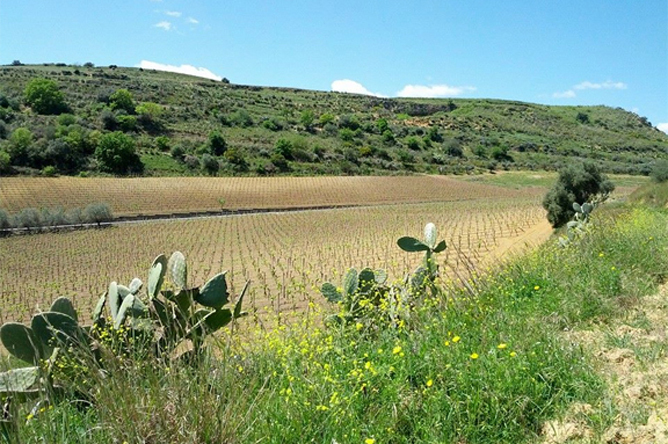 They have an electricity and vibrancy to them that few non-organically farmed wines can achieve. 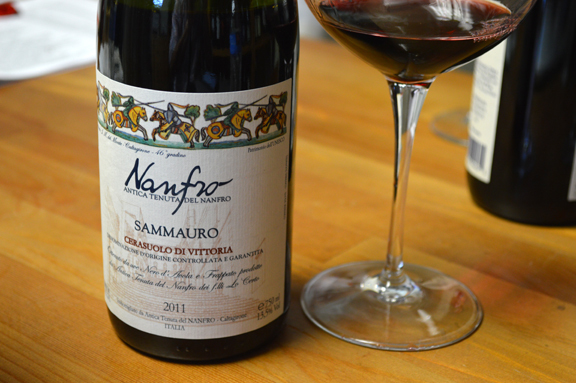 Nanfro’s Cerasuolo di Vittoria is a classic blend of Nero d’Avola and Frappato, where the Nero d’Avola imparts structure, color, and richness of fruit, balanced by the Frappato’s light body and brighter fruit. This wine is lip-smacking delicious and it’s not hard to understand why. You can tell from what the owners write on their website that their wines’ wholesomeness is key to them. Vineyard image via the Nanfro Facebook. Is Verdicchio Italy’s next big wine? According to an analysis conducted by the Italian online media outlet WineNews.it, only Barolo (winner of 37 of 663 awards) surpassed Verdicchio dei Castelli di Jesi and Verdicchio di Matelica (22 awards) in the number of top accolades awarded to the appellation’s wines in the 2015 edition of the prestigious Slow Wine Guide. Even Brunello di Montalcino (19 awards), write the WineNews editors, struggled to keep up with Verdicchio in its number of awards. Could be the next next-big-thing wine to emerge from the Italian wine world? Gauging from the growing number of accolades, it would seem so. 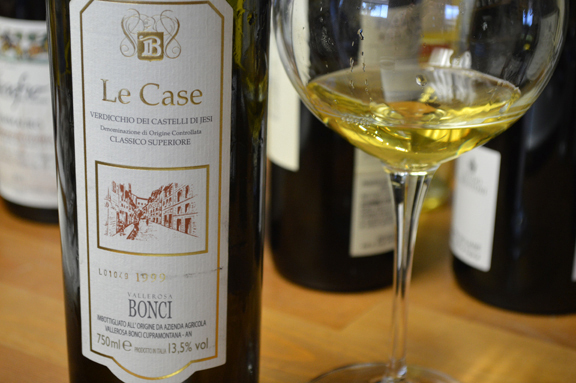 When you taste the 1999 Veridicchio dei Castelli di Jesi Superiore Le Case by Bonci, it’s not hard to understand why. This wine, still youthful in its fifteenth year of life, is one of the most profound white wines we have ever tasted from Italy. 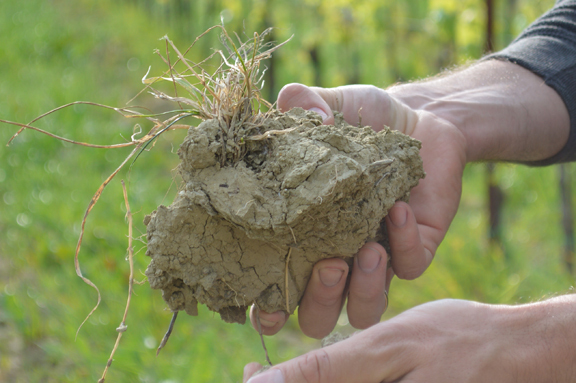 Above: Tufaceous subsoil is one of the elements that gives Verdicchio dei Castelli di Jesi is incredible aging potential. For a generation, the fish-shaped bottles of commercial producers led American consumers to believe that Jesi was a producer of cheap, quaffing wine. Market saturation eclipsed the extraordinary wines of smaller producers like Bonci. But today as the Italian wine renaissance continues to expand in our country, we’re seeing more and more fantastic bottlings make it here. We tasted the 1999 Le Case (cru) the other day at the office. The wine was fresh and extremely vibrant in the glass with intense but balanced mineral notes offset by gently toasted almonds and rich stone and dried stone fruit. This is a world-class white wine that can go toe-to-toe with some of the best wines of Burgundy (yes, we know, that’s a loaded statement; but when you taste this wine you’ll understand why we’re confident that you’ll agree). And gauging from its vibrancy, it still has many, many years ahead of it. And the crazy thing is… the price. But we can’t reveal that here. You’ll have to reach out to a Vitis sales rep for that!